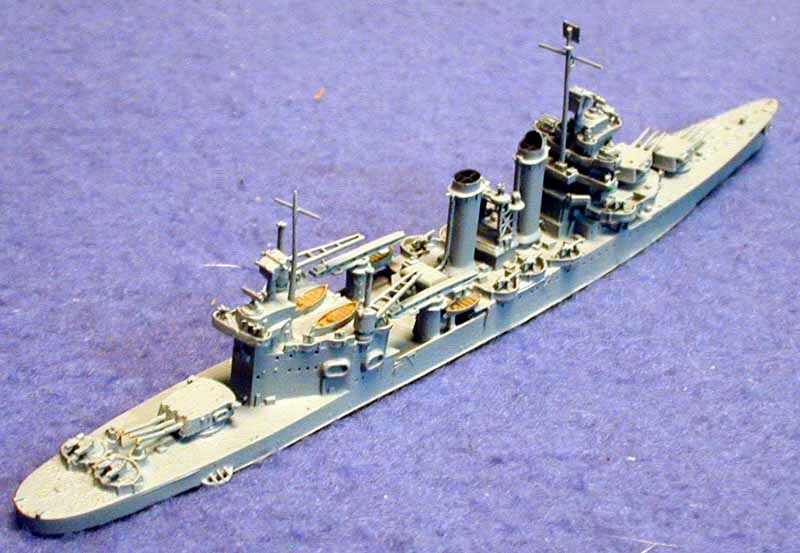 The USS New Orleans was the class leader of this prewar cruiser design. They were among the most active cruisers in the war fighting in both theaters of operation and holding the line until the industrial might of the USA could catch up. I was looking for a San Francisco to go with my other Guadalcanal veterans when I found this ship. It is very similar to the fit of a 42 Frisco and in this scale the minor differences are almost imperceptible. This ship comes completely assembled and painted the level of detail is amazing for a ship this size. 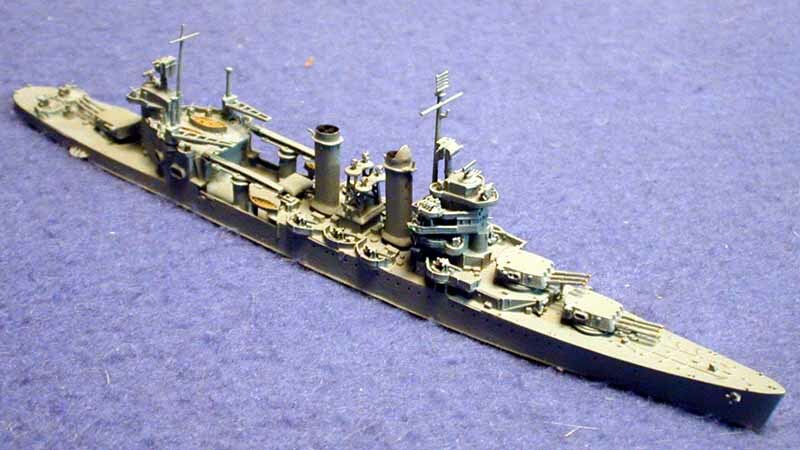 The main gun turrets can be rotated, and the ship is in her early war fit. The details of the ship closely matches the plans I have of her, and it is more detailed than many 1/700 kits I have seen. The miniature is hand painted and in an overall gray scheme with even the little fighting lights painted on the bridge wings. 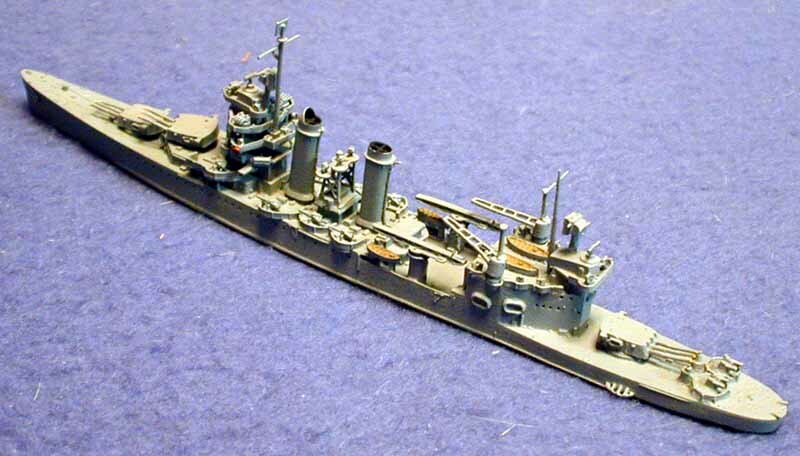 A nice ship with a surprising amount of detail of detail for 1/1250 scale. This is kit # NE1333b and it is available for $42.00 from East Coast Miniatures. 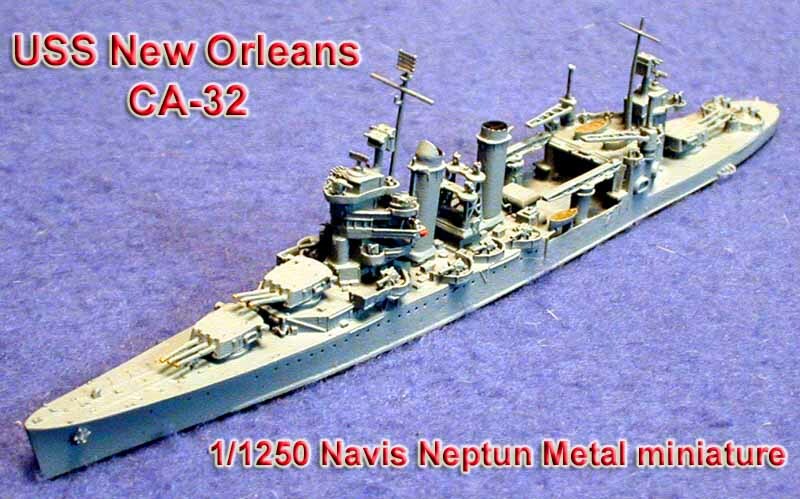 Check out their extensive online catalog of these and many more Ship related products. 1/1250 photo etch radar set from Navilis.